I just returned from my 2 week trip to Thailand with my lovely Laura. It was quite an adventure, we covered over 1500 miles living out of our backpacks. Relying on chance guest houses for lodging and trains, busses, tuk tuks and taxis for transportation. 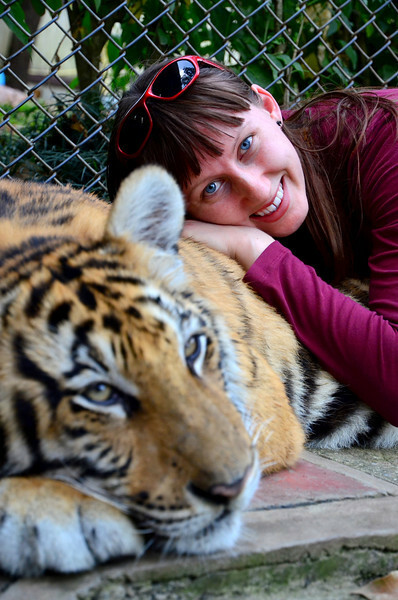 This is a photo from our first day there, when we found a place that would let you hang out with it's tigers... up close and personal.